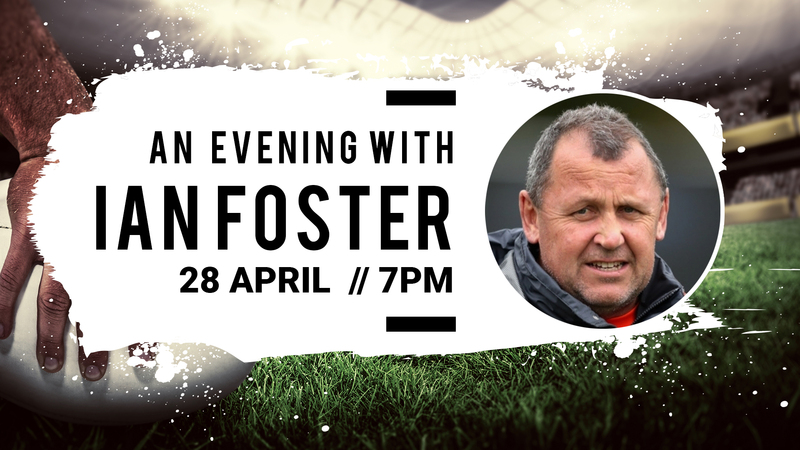 Coming up on the 28th of April we will be having an extraordinary evening with Assistant All Black’s coach, Ian Foster. It will be a fascinating evening as we get a chance to peek behind the curtain and catch a glimpse of what goes into creating a successful team and how you spot potential in people, just like what we see with the All Blacks. So come along and bring a mate, there will be supper provided and a chance for you to ask Ian questions.